Iota Localization Services - Is your global strategy putting your IP at risk? 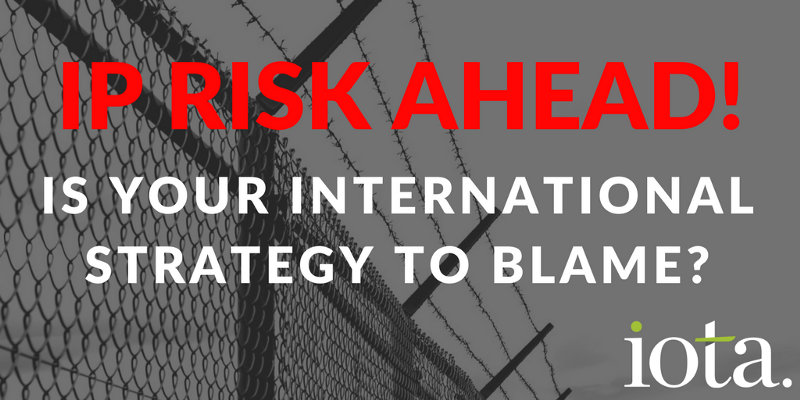 Is your global strategy putting your IP at risk? Retaining an established market position? And so it goes on. Within the tech ecosystem, intellectual property and its protection should be high on any Chief Executive’s watch-list. Which is why there’s an apparently innocuous scenario where you might want to re-think your international strategy. It’s not unusual for technology firms, particularly in the software space, to allow (or even encourage and facilitate) their in-country channel partners to deal with the translation and localisation of their products into the local language. This might seem sensible at first glance. It has the potential to reduce costs and you’d be justified in expecting the cultural considerations of the local market to be met. Let’s be honest here, it also seems like a lot less hassle to pass the localisation responsibility on to someone else to deal with. But it comes with hidden dangers that could potentially be very damaging to your business. Top of the list comes our old friend intellectual property. If you pass the responsibility for translation and localisation to your channel partners, who owns the IP in the translated versions? If your master contract is sound and your legal advisors have done a good job, you’d expect the underlying code and core features to be protected. But what about the elements that have been translated and adapted for that individual market? What about the UI and help files? What’s to stop your channel partner staking an ownership claim on the localised version? It’s a huge risk. If your relationship sours with the partner at any point, you don’t want to find yourself in the position where you have to withdraw or stop selling the localised product in a developing market. A protracted legal case to settle any claim could cripple your business financially, and render all market development work in the affected country a total write-off. Your IP advisers will be best-placed to advise on the protections you need if you permit channel partners to localise your products. However, the only way you can be absolutely certain you’re protected is to take ownership of the localisation process centrally, and deliver a local market-ready product to your channel partners. There’s no reason why they shouldn’t be involved in this process, and we’d recommend they are, but the crucial factor is that the work is commissioned, paid-for, and managed centrally within your business. There are other advantages to this approach too. There’s no risk of a third-party diluting your brand or producing a localised version that’s inferior to your core product. Centralised localisation also helps you to manage your marketing more effectively and can reduce costs where common campaigns are run across multiple markets. Another significant benefit of centralised localisation is simultaneous shipping. It’s damaging to your brand to have differing feature-sets and mismatched versions available across markets — unless of course there is a strategic reason to differentiate. Holistic management of localisation means that you can co-ordinate releases to match your marketing and sales effort on a global scale. If you work with a localisation partner like Iota, you can still benefit from the insight and cultural awareness of in-country resources without the risk of losing control your product and IP. The demands placed on your internal team won’t be much greater than they would be if you were passing the responsibility to a channel partner, just with a better outcome and none of the risk. Get in touch and we’ll be happy to talk you through how we help some of the most successful technology businesses in the world localise and release their products in multiple markets every day of the week. https://iotals.com/wp-content/uploads/2018/09/1-LK4nF9kny41jlabAjSmSYQ.png 400 800 Graham Rigby https://iotals.com/wp-content/uploads/2018/08/iotalogo.png Graham Rigby2017-02-27 00:00:002018-10-24 16:22:30Is your global strategy putting your IP at risk?